Beijing-based education institution Universal Education Group (more commonly known as Wanxue Education) has raised Series C financing from Baidu with participation of HAO Capital, the China-focused private equity firm, and Doll Capital Management (DCM). The company did not disclose financial terms and other details of the investment. But the deal size is rumored to be around tens of millions of dollars, citing a report by Yicai.com. The proceeds will be used to further grow Wanxue Education’s online education business and promote the development of its cloud-based learning portal, as well as to enhance its online marketing and O2O (online to offline) capacity. Wanxue Education is a leading Chinese educational institution for professional and academic training for college students. Established in 2006, Wanxue Education is mainly engaged in offering CGAT (China Graduate Admission Test) test preparation training in China, known for its test prep brand Wanxue Haiwen. 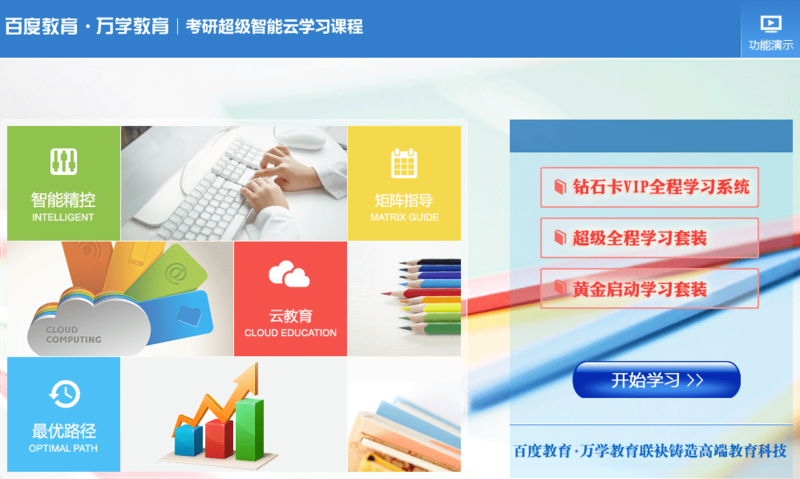 It also specializes in preparation courses for civil service exams, offering services in 25 provinces, regions, and municipalities across China. The company has received US$20 million in Series B round from DCM, Sequoia Capital, Legend Capital and F&H Fund Management in 2011. It also raised US$20 million from Sequoia and Legend Capital in 2008. Upon this new funding, Wanxue Education moved to a new domain name (http://wanxue.jiaoyu.baidu.com/) under Baidu’s existing education portal. Baidu has made continuous efforts to tap the burgeoning online education sector, as most of Chinese Internet companies are trying to build their online education platforms. After launching a separate search service for education in 2012, the company built 91UP, a platform for education apps and online courses, on 91, an app distributor it acquired last year. Early this year, Baidu also wheeled out video lecture channel Duxuetang, integrating quality contents from more than 70 education institutes.